Lake Michigan fishing is something that any respectable angler need to tick off their personal bucket list. 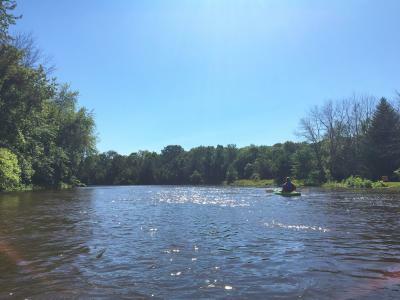 The lake’s name is believed to come from michi-gami, the Ojibwe word for ‘great water.’ The banks of these fertile waters are rich with marshes and sand dunes, making a watery haven for all sorts of wildlife. 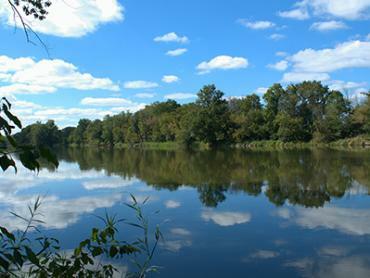 So we couldn’t agree more: the lake’s waters aren’t only great - they’re absolutely fantastic! Lake Michigan touches the states of Wisconsin, Michigan, Illinois, and Indiana, and is the only Great Lake to stay entirely within the US. 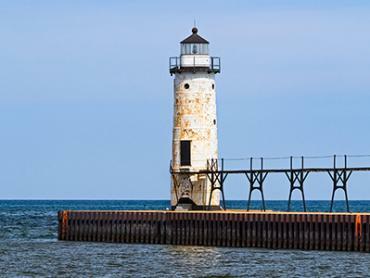 The Great Lake is shared by Ports of Milwaukee, Green Bay, Chicago, Gary, and Muskegon. The region is also called the ‘Third Coast’ of the US, after those of the Pacific and Atlantic Oceans. 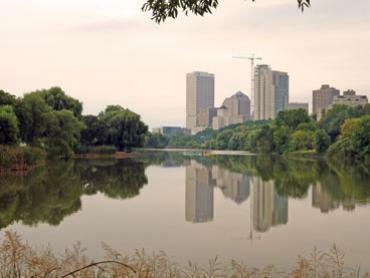 At some point in the 20th century, Lake Michigan was invaded by the alewife, a species of herring. 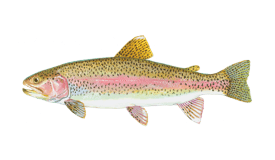 To decrease the population, Brown Trout, Coho Salmon, Chinook Salmon, and Steelhead were introduced. And guess what - they simply exploded and created one of the largest and most successful sport fishery in North America. Good job, Alewife! 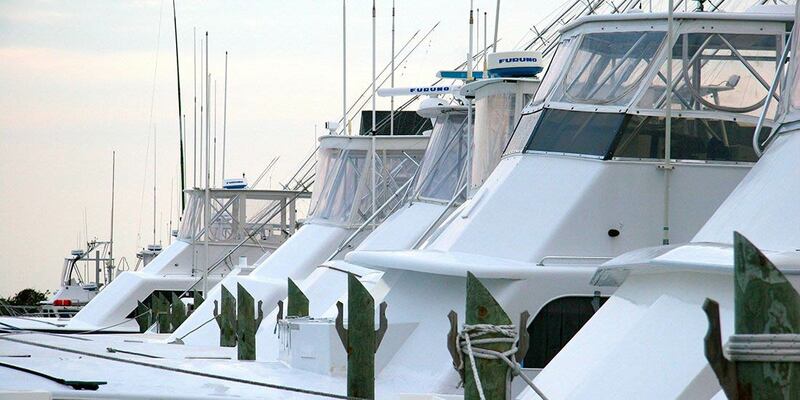 The ports of Milwaukee and Port Washington are home to some of the most popular Lake Michigan fishing charters. The majority of the state records were caught right there. Isn’t that something worth bragging about? The Milwaukee Bay is the entrance to the lake. The western waters offer a world-class fishery for the elite catches. When the fish migrate north from the southern end of Lake Michigan, the game begins. To put it simply, it’s all about Salmon and Trout. Cohos and Chinooks are targeted mainly by trolling spoons and crankbaits. Do the same for Lake Trout or cast bait. 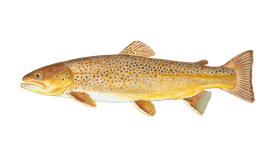 Brown Trout are usually caught with a light action spinning rod. And finally, the acrobatic Steelhead can be found in the right depth of the water and caught by trolling. Your Lake Michigan guide will show you the ropes! While talking about fishing in Milwaukee, it’s wise to mention its neighbor. 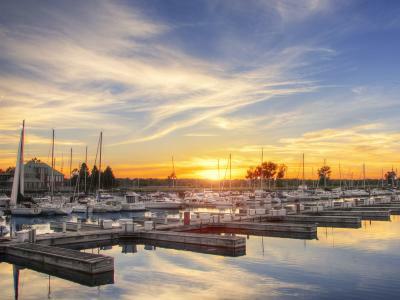 The Port Washington Harbor is another gem in Wisconsin's collection. 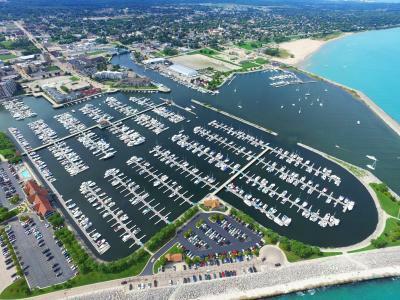 No other Great Lakes area holds a fleet as large as Port Washington. It touches the western shore of Lake Michigan, where the waters drop off fast. Anglers arm themselves with fly or spinning rods and prepare for a short ride to the hottest spots. 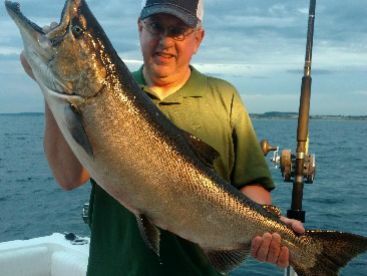 Port Washington’s waters are ideal for trolling for Salmon and casting for Steelhead. 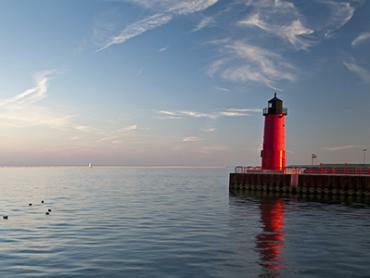 An arm of Lake Michigan, Green Bay is premier spot to fish in the Midwest. The clear waters of the Bay are home to Walleye, Musky, and Smallmouth. 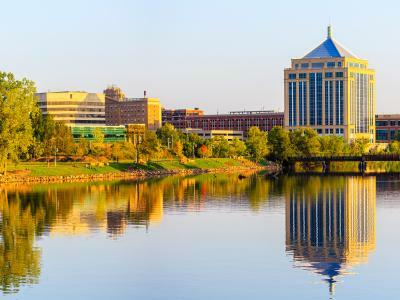 First and foremost, we need to say a few words about Green Bay Musky. These long and slender fish have been keeping spring anglers busy for quite a while now. There is hardly a better way to tune up for the summer season! 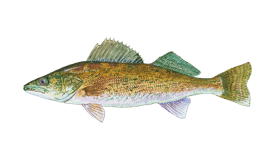 Green Bay Walleye fishing is the local bread and butter from ice out in April all the way through October and November. Trophies begin to bite mid-spring during the nighttime. They move shallow to spawn and feed during the summer months to come back in August. When they school up on the offshore reefs, Walleye make one of the best Green Bay catches you can possibly think of! 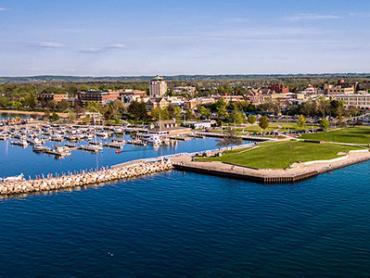 The big waters of Green Bay meet the Sturgeon Bay, which has been recognized as Number 1 Bass Fishing Destination in America. The warmer months offer the fastest action and the most aggressive Smallmouths almost anywhere in the Midwest. They roam the waters in huge numbers and trophy sizes. If that’s not inviting, we don’t know what is. 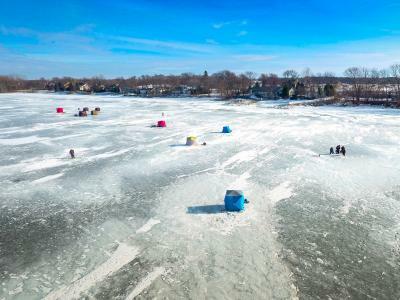 Sturgeon and Green Bays’ ice fishing opportunities will top up the list. Even in the Dead of winter, fishing doesn’t rest round here. 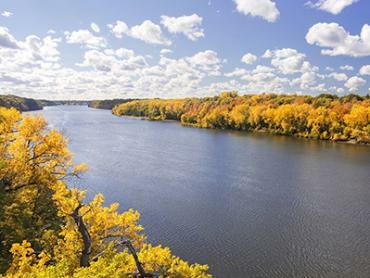 The bays are widely recognized for trophy Walleye and Whitefish. The local guides know that in order to ice large Walleye, you need to know the key locations, use electronics effectively, and focus on jigging. 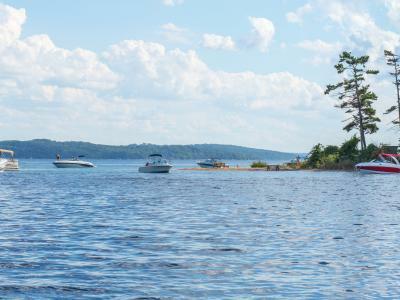 Sturgeon Bay is blessed with clear water, which makes Walleye fishing even more challenging. The ‘old marble eyes’ have built-in night vision and are typically targeted during sunrise and sunset. Finally, Whitefish make an incredible catch, as well as a fantastic meal. They are intriguing, fun, and exciting to catch… all day long! Chicago’s fantastic lakefront hides behind some of the tallest skyscrapers in the world. The windy city offers bountiful trophies, including Trout and Salmon. But we already know that Lake Michigan is abundant with Lakers, Brownies, Rainbows, Kings, and Silvers. 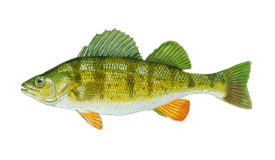 Chicago fishing charters have something else to offer - Smallmouth Bass and Yellow Perch provide sport for inshore anglers! When Salmon and Trout move to deeper and colder offshore waters, anglers switch their focus to Perch and Bass. Jumbos can be caught around the jetties and the harbor mouths. Perch adore live bait, so pack a bag of nightcrawlers, wax worms, and minnows. Smallies will react better to lures that mimic their regular bait. To make that Lake Michigan fish bite, you will need to equip yourself with nice rods and reels. Almost every captain will provide them free of charge, as well as tackle. 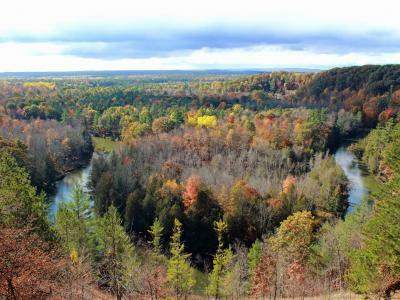 A half-day adventure will probably be more or less around $100 per person. However, we recommend adding a couple more hours and stay for a full day. 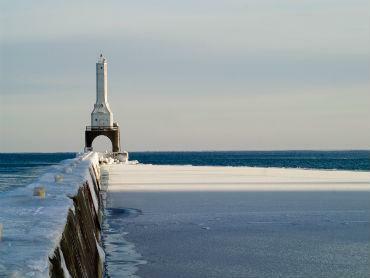 The major Lake Michigan catches from the ports are Salmon, Trout, and Walleye. 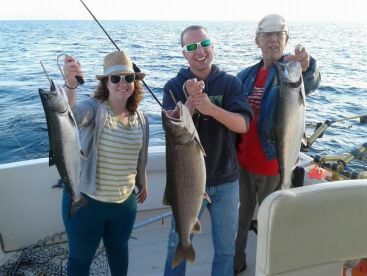 The most careless way to thoroughly enjoy Lake Michigan fishing season is aboard one of the professional charter boats. 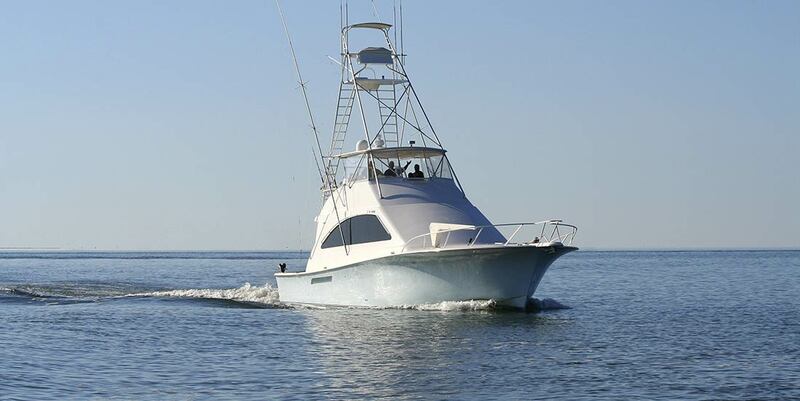 About all you actually need to do is choose a captain or a guide, pick the best date, bring a cooler for the catch, and go fishing. You will need a valid fishing license with a stamp. Well, the Lake itself is not the too active at the moment. However, if you have an urge to fish, head to the tributaries. Steelhead are in the rivers, along with Brown Trout. February is the same story. Lake Superior is quiet, but the rivers are full of Trout. They spend their time there awaiting the spring spawning. The season is about to begin - only a few weeks left! The Steelhead spawning run has begun. The big silver bullets are ready to be caught. Fish are eager to hop on your line! Lake Trout are also around. The sour then basin between Chicago and Waukegan is where Coho Salmon and Rainbow Trout are right now. Lake Trout are around the Milwaukee harbor. Late spring is great for Coho Salmon, Brown Trout, Lake Trout, and Steelhead. This time of ear offers some of the most exciting fishing! Perch fishermen could also be busy in May. 10+ lbs Cohos are common right now. 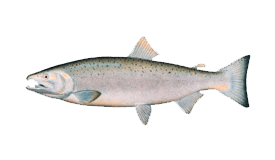 King Salmon are a frequent catch nearshore, while Steelhead are mostly found offshore. 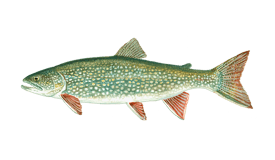 Lake Trout can be up to 30 lbs. Go fishing! The tackle busting King Salmon are in their full-scale. Steelhead, Coho Salmon, Brown Trout, and big Lake Trout are abundant. The weather is nice and the fishing is great! Large, mature Chinooks are plentiful right now. Coho Salmon are still active as well, just like Lake Trout and Brown Trout. If you are also after big hauls of Steelhead, now is the best time. The Lake is in transition right now. This part of the season might be the most beautiful time to be on Lake Michigan. Lake Trout are around rock-reef structures offshore. Anglers also catch Chinooks, Brown Trout, and Steelhead. Are you a hard-core trophy hunter? Then go catch your limits! Brown Trout and Lake Trout are ready for your hooks. King Salmon are also around. The action is consistent right now. The Lake is asleep tight now, but we can hardly think of a better time to target Steelhead in the rivers. The fall Rainbow Trout are all about explosive runs and jumps. Lake Trout fishing is great in northern Indiana. The hottest place is around the artificial reef and around the rock wall, where Trout feed on bait. Steelhead are active in the rivers.